EVP - Electronic Voice Phenomena, Spirit Voices ? There have been some credible instances of EVPs being captured on tape, but the majority of the recordings are simply being retro fitted. Someone will state what the voice on the EVP says, or they will place the audio clip on their website with some text explaining the results, and then everyone will conform to this, instead of making an independent decision. But an unexplained sound or voice on a tape recorder is just that, unexplained. There has never been any proof that they originate from dead-people because no one has ever proved what their source is. Most of these EVPs are non-descript, and can be interpreted as any one of several words, or sentences or they could be interpreted as nothing at all but a noise. But in the case of prior knowledge this can amount to your brain simply adapting to hear what you’re told to hear, not what is actually there. You will also find that you’re subconsciously trying to hear words that are relevant to the location they were recorded in. In a haunted location you are far more likely to listen for the words “get out” or “help me” then “bunny rabbits”. 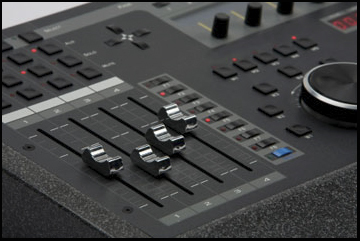 EVPs can however be judged far more accurately simply by recording the multiple consensuses of independent listeners and seeing what they have decided before suggesting what they may say. Without giving a reviewer prior knowledge, this will give these recordings far more credibility. It should also be noted that stray radio frequency’s that contain both voice and sound can be picked up by digital tape recorders and can be either high or low wavebands including that of the human voice. The only way to eliminate them is to use a enclosure called a Faraday cage to completely insulate the recording device. 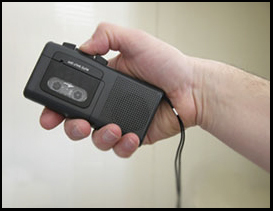 However this will still not reduce the internal mechanical and electronic noise of the recorder although using an external microphone will help to minimize this being picked up. Even if the EVP is clear, you cannot classify it as a “voice of the dead” merely because it was recorded at a haunted location. This is an association, not a credible link. There are some criteria and protocols that could narrow its point of origin, but these are rarely followed by the claimants. People often state that the EVP they obtained was something that only the dead person they think is contacting them would know. But in order to verify this then clearly they must know this information as well, so this automatically invalidates such as a statement. How do you determine that that the origin isn’t a psychic imprint by a living person? If you’re claiming it is a voice of the dead just because the location is haunted, why are you not equally claiming that it could be a psychic projection, if people live there? The person doing the recording could also be the origin. They are consciously trying to illicit a response to a question, which could physically manifest itself as an EVP. When both possible origins either from the living or the dead are beyond normal scientific explanation, which one is more likely? Wishful-thinking isn’t a scientific process. 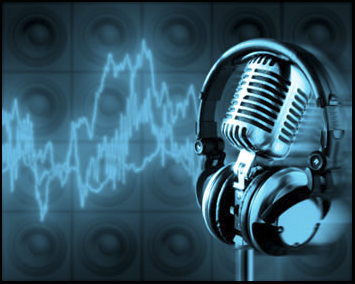 There are many examples of people attempting to contact a specific person that has died such as a close friend or a relative and then claiming that they recognize their voice on the recording. But they have already biased the results because instead of listening objectively they have “primed” themselves to adapt the recorded voice to the voice they want to hear. If a process similar to that of a police line-up was employed this could make the claims of it being a specific person more credible. For instance if 4 other recordings were made saying the same phrase or words on the EVP and by listening to all 5 recordings then the claimant could still pick out the voice that they said was either their dead friend or relative this would make the process more believable. Of course ideally it would be better to independently verify a recording of a specific person taken while they were alive with one on an EVP but this may not always be possible. If the EVP isn’t class A, why post it? And a class A still needs to be more then just being a clear recording before it can be labelled as a spirit voice. Having a class B and C category clearly indicates that EVPs falling into these criteria is not “best evidence”. Presenting weak evidence is far more damaging then having no evidence. It would be better to put forward the 1% of EVPs that are “credible” then the current 99 % that aren’t. To link a recording of an unexplained sound or voice, with a dead person, and eliminate other sources of origin. Identify non paranormal sound origins that could later be misidentified, including drafts creaky floorboards or doors, heating and cooling equipment, and plumbing. Secure area against human contamination, by locking doors and limiting assess in and out of recording area. If during recording you become aware of external noise contamination, document, time and nature of contamination for reference when EVP is analyzed. What are the problems with determining the legitimacy of an EVP? A) Shuffle a deck of cards, and without looking turn the deck face up making sure the bottom card remains out of your line of vision. Ask the spirit to say the name of the card. B) Take 3 dice, roll the dice, and allow them to fall out of your own line of vision. Ask the spirit the combined total of the dice. A spirit has both audio and visual verification that you are trying to communicate with it. If they can see you they must be able to see the information that you are trying to convey. This method will not work if a spirit has no visual verification. Leave a recorder in an area that is protected against noise contamination. In order to establish a link with a dead person, the information recorded would have to be unknown to the person or persons doing the recording, but could be verified through subsequent research. This would minimize the possibility that it was a psychic imprint by a living person. Ask the spirit a direct question, preferably, so the answer can only be discovered through subsequent research. It could be a psychic imprint of a living person unless it was an answer not known to the investigator and later verified through research. Ask the spirit to repeat a specific word, to increase the likelihood of it being random, select two words unlikely to be found in sequence in normal conversation. You cannot rule out that this is a psychic imprint by the person asking the question. They could try thinking of different words, and repeating them internally, but this could still not rule out the origin being from a living person. If the voices recorded have a recognizable incantation of a dead person not known to the person doing the recording, this would make the answer less reliant upon being unknown information. Could the recording be verified as originating from a dead person? Was person known to person doing recording? Could it be a psychic projection from you? Could it be a psychic projection from someone else? How many questions did you ask, how many times did it reply? Are there any radio towers, cell phone towers, airports etc in close proximity to location? Was the EVP music ? If the EVP that is picked is music, this lessons the likelihood that it is psychic intervention. But you wouldn’t have a link to a dead person. Questions to consider are, did the music relate to the current time period, and was it music that would be likely to be played on a local radio station? Also was the music historically related to the location? For example, if you recorded piano music, was there a piano there in the past? Was the EVP a noise? If the EVP recorded was a noise did it relate to the current time period, or location? For example, the sound of horses in the middle of a city, may relate to the location in the past but not in the present day. Did the voice have any recognizable characteristics ? If a voice was recorded are there any recognizable characteristics, such as accent, a phrase a person used, the speed of speech, and does it have a connection to someone living or dead? Determining if the voice had any recognizable characteristics ? Play the recording to attempt to identify the person. If identified play the recording to people that don’t know the subject. See if the accent, speech flow, and characteristics correspond with those that do. Do not tell subjects who you think it is, or where the EVP was recorded so they can’t make associations based on locations or prior knowledge. How do you verify what the EVP says? Play E.V.P to people that can’t make assumptions, by connecting it with location. For example, if you told someone an EVP was taken where a battle had been fought they would be associating the words with those related to the military. What is the probability of an answer being specific instead of coincidence? For example, someone mentions the word John Smith in connection with a battle, how many John Smiths are there in relation to the number of soldiers that fought there? If the EVP is not clear, how do you get a valid consensus of opinion as to what it actually says? Do not post text of what the EVP says before people have reviewed it. Do not tell them what you think it says. Make sure the people you chose to evaluate the EVP do so independently of each other. If posted on a public forum have people e mail you with their opinion as to what the EVP may say, rather then have them post it on the forum which could influence others. People could discuss the results of the EVP independently without your knowledge, and influence the opinions of others. Hey Buddy!, I found this information for you: "EVP". Here is the website link: https://www.chasingmidnight.com/evp. Thank you.